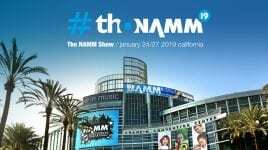 This series is sure to turn heads at NAMM this year. 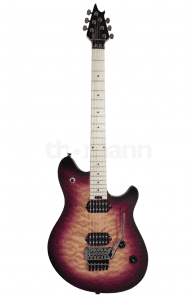 With their ergonomically-shaped mahogany bodies, “Ultra Flame” flamed maple veneer tops, stunning colourways with matchingheadstocks,bolt-onnecks(“roasted” or simply Canadian hard maple) with matching fretboards, modern C neck shape, clay dot fretboard inlays, 24 medium jumbo stainless steel frets, nu-bone nut and so much more. For their price point, they can’t be beat! 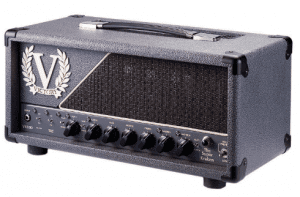 This beautiful tube amp head from Victory has all the distorted Kraken sounds with a completely new clean mode for brilliant clean sounds with lots of headroom, 2 Channels, 100 or 30 W of power, 4x 12AX7 preamp tubes, 4x 6L6 power tubes and so much more. Unbeatable! The stunning PRS John Mayer signature model is being released in 4 new finishes at NAMM this year. These include the Dodgem Blue, Golden Mesa, Orion Green and Moc Sand. Which one is your new favourite? Gibson presents two models (4- and 5-string) of the EB series, offered in two different finishes: Wine Red Satin and Natural Matte. 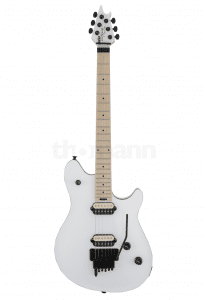 The body of the instrument is swamp ash, the neck is maple with rosewood fretboard, the scale is 34 inches with 24 frets to cover two octaves very well, the bridge is developed by Babicz (Full Contact model) and is equipped with push/pull knobs for splitting the pickups. 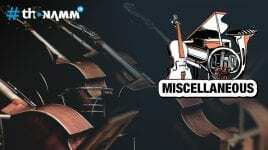 An excellent bass, very versatile. Andy and Guillaume met with Taylor master builders to talk about the new model, the Grand Pacific. Would you like to know more? Take a look at the video below. 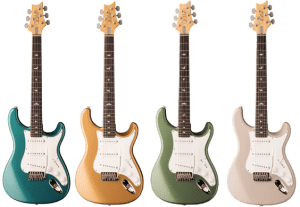 New flamboyant models by Charvel, the beloved American brand: new finishes for the Pro-Mod SD, SC, SD1 and SC1, a new finish for the Satchel signature and the Angel Vivaldi signature. 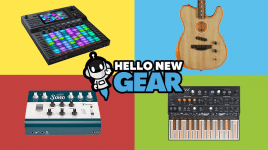 In the video below Guillaume shows us all the new models coming out this year. Happy watching! 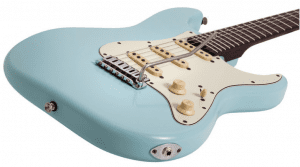 A Super-strat for 80’s lovers? A modern guitar? You be the judge! We think it’s a great piece of kit! 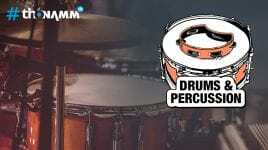 In the video below you can see all the new models (which you will find further down in this article, announced several days ago) of this Californian brand. 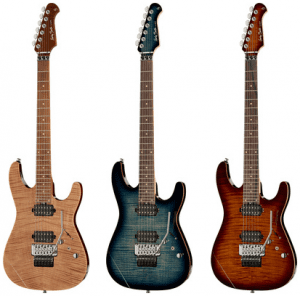 Jackson, as usual, brings us novelties in terms of finishes and models. Also this year rockers and metal players can rejoice: a new finish called Green Crackle for the SLXmodel of the X Series, a CD24 Pro Series in glossy black, the Spectra SW JS2 bass in an elegant white finish and the JS3 5-string in black and walnut finishes. 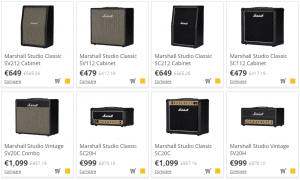 The SC20H valve amp is from Marshall’s Studio Classic series and inspired by the legendary JCM800 2203! 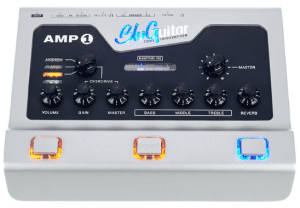 Key features include: 20W or 5W of power, 2 x ECC83, 1 x ECC83 (phase splitter) and 2x EL34 valves, preamp and master volume, presence control, effects loop and DI output. 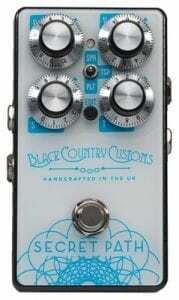 Be sure to also check out the combo version of this model, the SC20C. Marshall’s 1959 SLP-inspired SV20C valve amp combo is a member of their Studio Vintage series featuring a single channel with four separate inputs, treble, middle, bass and presence controls, DI out and power reduction. The head version is the SV20H, a powerful beast. Then there are the corresponding cabinets: the SV112, SV212, SC112 and SC212. Available with both 1×12″ and 2×12″ Celestion V-Type speakers and in both 70 watts and 140 watts. Power! 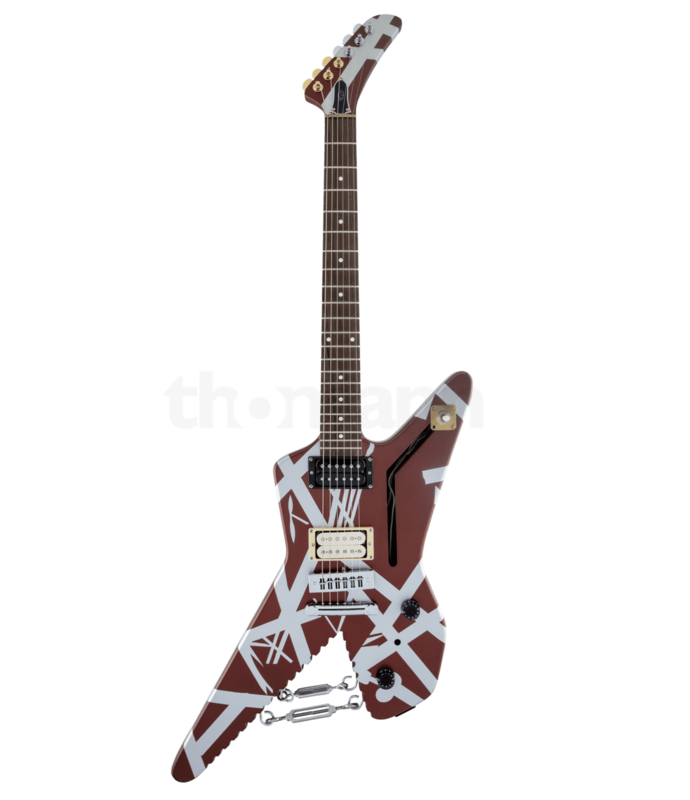 Brand new finishes and combinations of the EVH line: 4 new finishes (Tri-Fade, Mango Burst, Natural and Midnight Sunset) for the WG Standardseries and 3 new finishes for the Special series (Ebony, Polar White, Metallic Blue). Finally, a totally new model: Shark, from the Striped series. Fender presents two signature models of one of the most famous guitarists on the planet: Jimmy Page. 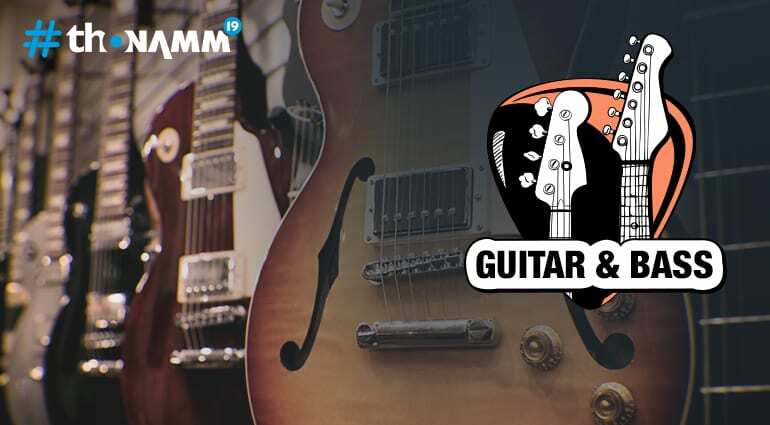 The guitars are fitted with rosewood fretboards, ash bodies, 21 vintage frets, thin D profiles, 7.25″ radius and two Jimmy Page Custom Tele pickups (and Jimmy Page Custom Tele ’57 for the Mirror model) made in collaboration with Fender. 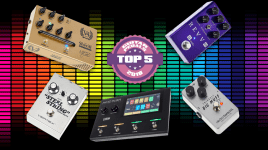 Laney does not hold back when it comes to the resurgence of distortion pedals. Officially presented at NAMM 2019, the Laney Monolith Distortion is equipped with a variety of distortions, tri-color LEDs, in-depth fine-tuning thanks to controls on the pedal and creates lots of big sound! 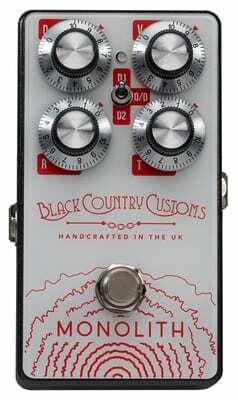 The Secret Path Reverb is set to please with spring & plate reverbs, Pre-Delay, Volume, Size, Tone, Mode controls, Tri Colour LEDs, Effect Bypass/Enhanced Mode footswitches. The Steep Park Overdrive is a versatile boost pedal with masses of headroom designed to help you push your amp harder and cut through any mix. 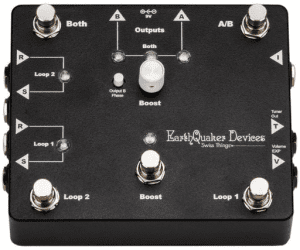 Ideal for stacking either before or after other gain pedals on your board. Make sure to check these out! 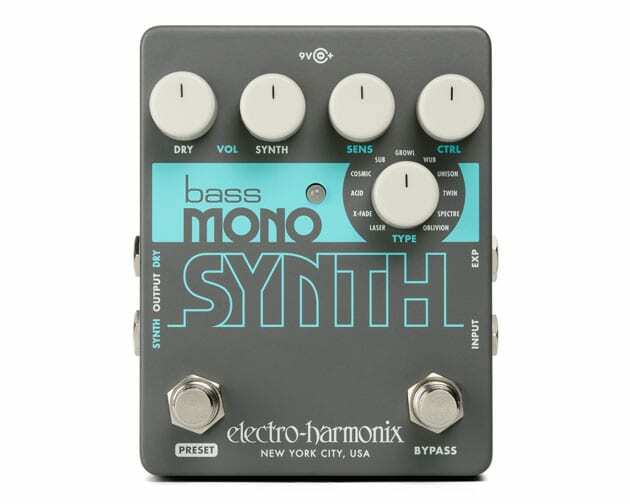 The Bass Mono Synth turns your electric bass into a bass synth! With 11 sounds to choose from and full control over the wet / dry signal and the amount and tone of the effect, its versatility is not lacking. Supro presents this analog delay pedal with a low-pass filter, dry kills and tails functions, controls for delay management and a truly convincing sound. Gotta try this one! 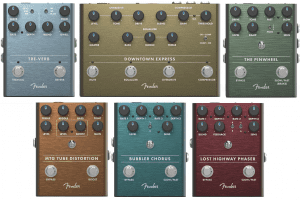 Fender recreates the sound of Tube Distortion by using a real vacuum tube in a compact pedal. 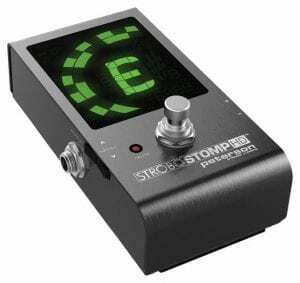 3 band EQ, boost and level are everything you need to unleash the power of this tiny monster. Aside from distortion, the guys in Corona know how a rotary speaker sounds, and they decided to replicate the effect inside a compact pedal, the Pinwheel. Slow/fast switch, stereo operations and tons of good tones. The Lost Highway Phaser pedal revives the sounds of the 60s and 70s! The American manufacturer has added two foot-switchable speeds and each of them can be adjusted separately in rate and depth. It also contains controls for Blend, Feedback and Sens as well as switches for sine/triangle and 4/8 phases. 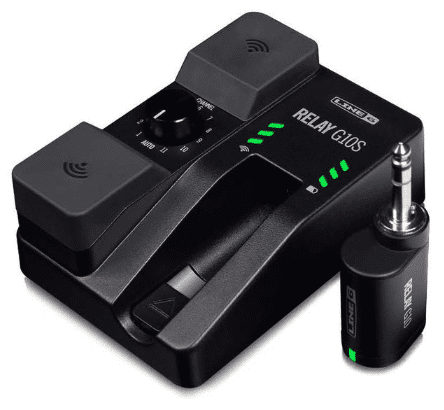 The Bubbler Chorus is very similar to the Phaser: The speeds can be adjusted the same way while the controls for Level and Sens are global and a lever switches between the sine and triangular vibration. The Tre-Verb pedal was designed to mimic the legendary tremolo and reverb sounds of their very own Fender amps. The pedal’s original Fender circuit is based on DSP and it has controls for Wave, Rate, Depth, Blend, Dwell and Tone. Last but not least, the Downtown Express is a complete multi-effect pedal for bass: compressor, overdrive, EQ, wet/dry blend, DI out: is there anything else you may need? 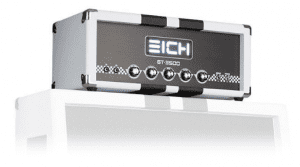 The new Eich GT3500, the first guitar amp from Eich, a 35-watt all-tube amp, is loaded with 4 x 6V6 power amp tubes, 3 x ECC83 preamp tubes and 1 x GZ34 rectifier tube. 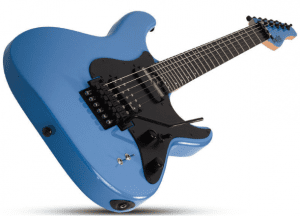 Truly a beast, if you ask any guitarist… Click the product link above and watch the video below for more details. This battery powerhouse is super practical and essential for any guitarist or bassist who can’t always rely on a nearby power socket. 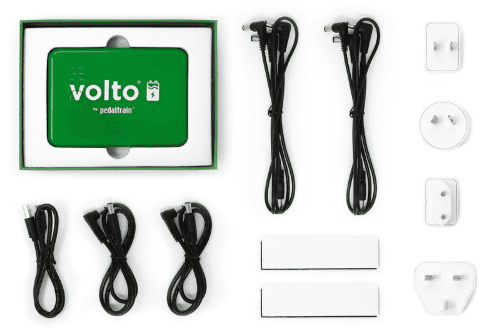 A lithium polymer battery is at its core and is ready to power your entire pedal board using the included 2 daisy chain cables (each with 3 pedal connectors), 1 micro USB charging cable with USB power supply and international adapters. 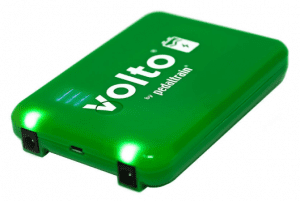 A battery protection program ensures that the battery never overcharges. This Volto 3 takes care of everything for you! Television sets from the 1950s? Modern digital modelling combo amps? VOX always knows how to integrate the best features from the past (including aesthetics/design) into top-of-the-line innovative products. 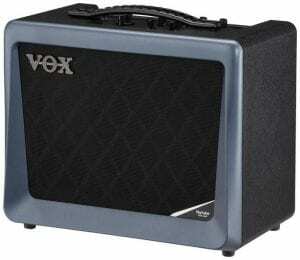 These two beauties use VOX’s VET technology, which accurately captures the qualities and tones of vintage amps. The VX50GTV uses NuTube: revolutionary space- and power-saving tube technology. 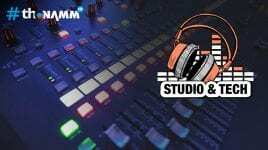 Tons of built-in effects are complemented by 11 amp emulations, everything from legendary VOX amps like the AC30 to modern high-gain and boutique tube amps. Back to the aesthetics of these amps: the contoured body is constructed from ABS, which helps to minimise vibration and improves overall sound. 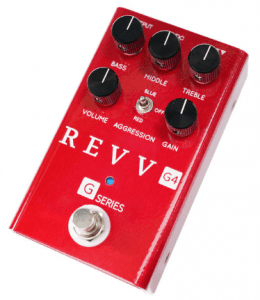 Revv’s Red Channel 4 tone is now available to everyone in a less-expensive pedal format, a thick gain monster with tube-amp-like distortion that can also reproduce old-school tones! You no longer need to carry around that heavy (yet amazing) Generator 120 MKII amp! Click the link above for full specs. 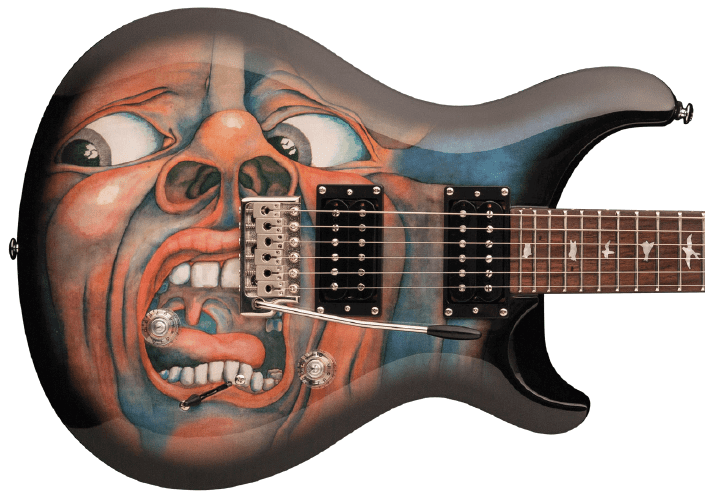 As a limited edition for 2019, in celebration of the 50th Anniversary of the legendary band King Crimson, PRS will be offering a limited run (1,000 worldwide) of SE Schizoid guitars, adorned with the classic artwork from the “In the Court of the Crimson King” album. 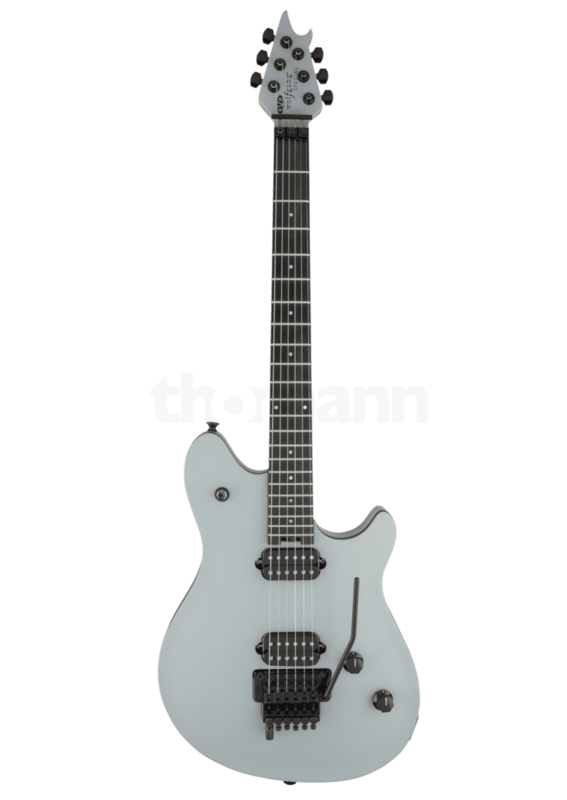 The guitar’s features are based on the flawless SE Stanadrd 24. Don’t miss out on this opportunity! 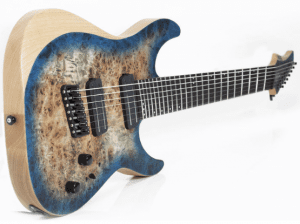 PRS is set to release their 2019 McCarty 594 Hollowbody II chock-full of new features. 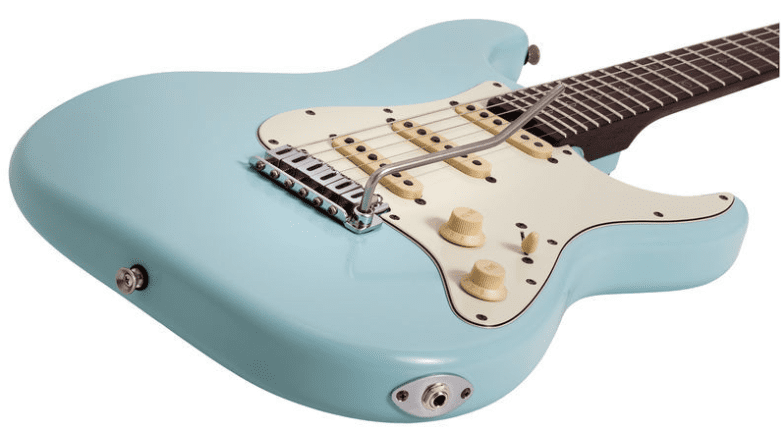 With fully-hollow build construction, this is a resonant guitar with warm, woody tone, 58/15 LT pickups, dual volume and push-pull tone controls. Some other details include a 24.594” scale length, two-piece bridge, and Pattern Vintage neck shape. David Bowie was always a master of style and Supro does him justice with this David Bowie 1961 Dual Tone Ltd, a reissue of the guitar he used on his Reality (2003) album. 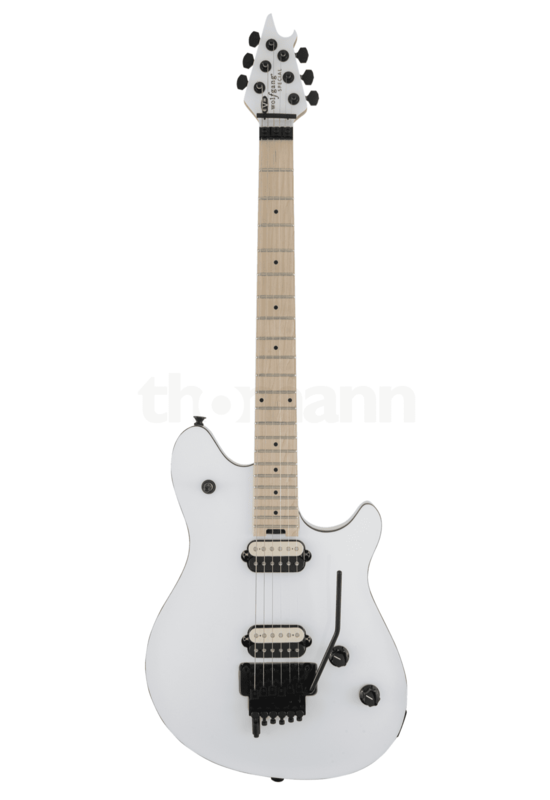 It’s not all looks though, it features an ergonomic 24.75”-scale set maple neck and a 12”-radius Pau Ferro fretboard among many other treats. Click the link above for full specs. 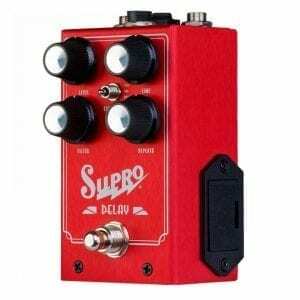 Supro releases this retro-looking 15-watt Tube Combo Amp with a 1 x 12 Custom Supro BK12 speaker 1 x 6L6 power amp tube, 1 x 12AX7 preamp tube, Analogue reverb, FX loop and footswitch connection (boost and gain). Pure vintage pleasure! 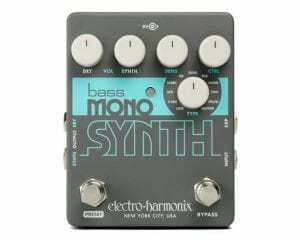 This beauty has two true-bypass effects loops. 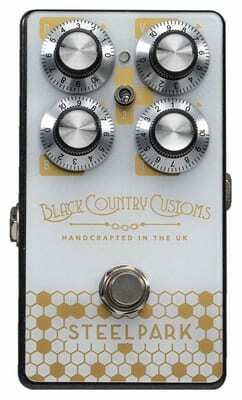 The first one is non-buffered and low-input impedance, designed for fuzz and drive effects, the other one, buffered, is intended for modulation and time-based effects. 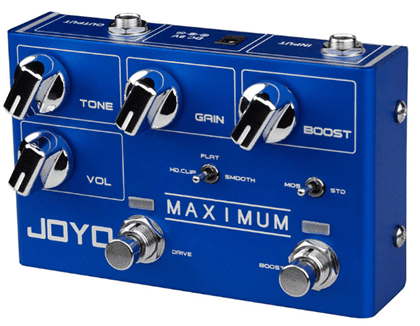 Other features include a Volume EXP jack (for avoiding tone loss when using volume pedals), footswitches that can be set to either latching and/or momentary, a footswitch for a 20dB boost, a phase switch, an AB-Y function and much more. Wow! Earthquaker Devices has launched V3 of the Dispatch Master delay and reverb. It incorporates Flexi-Switch™ Technology, which allows you to simultaneously use momentary and latching style switching. 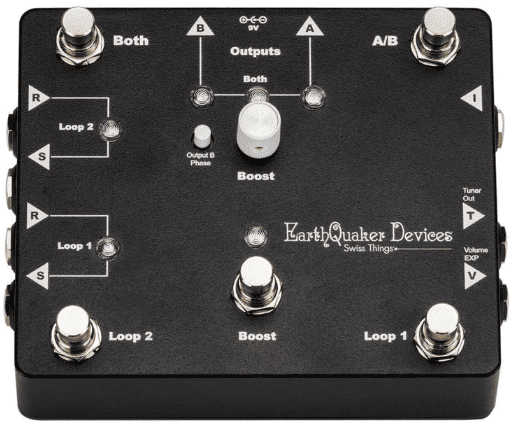 Otherwise the effects remain as excellent as ever: dynamic reverb, up to 1.5 seconds of delay time and the potential for infinite repeats and self-oscillation. 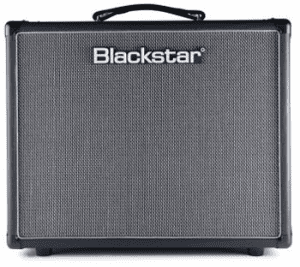 Blackstar presents three sleek 10-watt tube combo amps all containing a 12″ Celestion Seventy-80 speaker and each model has a different power tube (KT88, 6L6 and EL34, respectively) for precisely the sound and aesthetic you want. Which will you choose? This fantastic overdrive pedal from Joyo takes your sound from a smooth & crunchy vintage boost to a sustained over-driven monster. 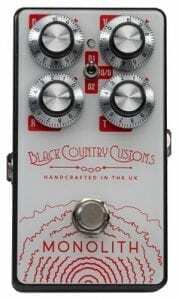 The Volume, Gain, Tone & Boost controls, Mosfet / Diode clip mode switch, Hard Clip / Flat / Smooth Mode all ensure you can customise your tone to your liking. This stunning Reaper-6 from Schecter has a swamp ash body, burlap poplar top, multi-striped maple/walnut neck with carbon reinforcement, ebony fretboard with pearloid offset/reverse dot inlays, and an ultra thin C neck profile for all your super-shredding needs. 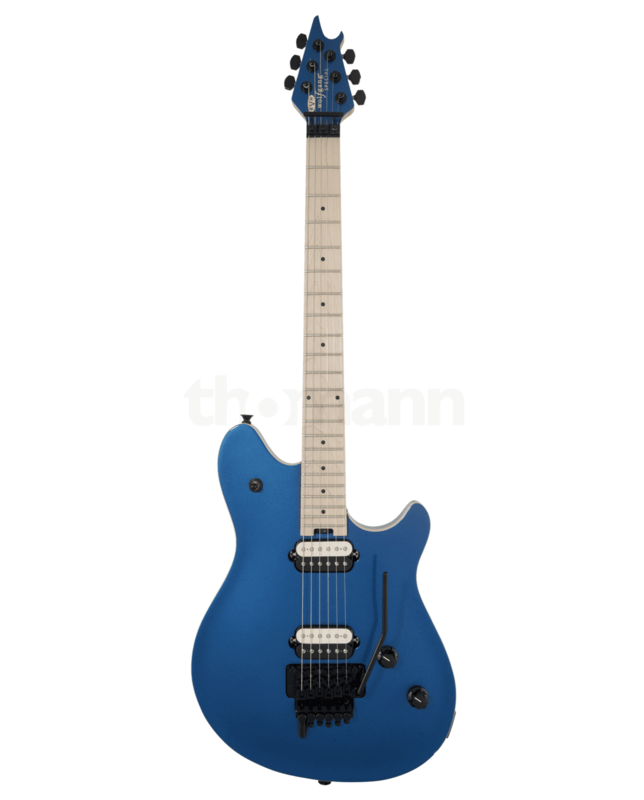 Not to mention its 2 Schecter Diamond Decimator humbucker pickups and unique Satin Sky Burst finish. Let’s call this the big brother of the Reaper-6… this multiscale masterpiece has all the twists and turns (and a 7th string) that professionals demand. Come try it out yourself in our shop! Another 7-stringer here… but in a bone-chilling Matte Black finish and with Roman numeral fretboard inlays. How much more evil can you get? 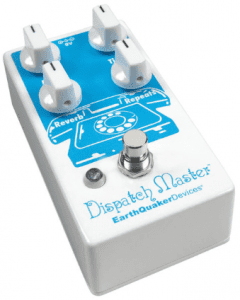 If vintage tape delays are your thing then this is the pedal for you because it allows you to control 3 magnetic delays (drum, tape, studio) as well as spring reverb and a looper! Its true bypass is complemented with a switchable buffered bypass. Strymon never disappoints! With Dunlop‘s Rotovibe you can choose between chorus and vibrato. 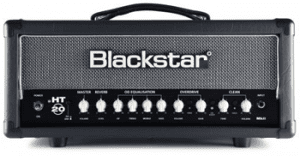 While sounding a bit different than its big brother, its sounds are classic and solid. 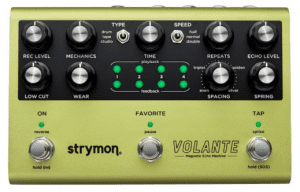 The rotating speaker emulation is also included but this pedal has a very unique characteristic sound, so that you can not really compare it with today’s widespread digital speaker simulations. This tiny monster of a solid-state power amp has the ability to give you, through one input, a Class A-B output so that you can have your pedal board reproduced cleanly with all that cranked tube goodness we all love. 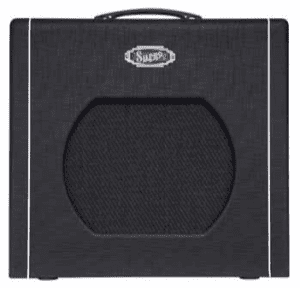 An equally useful feature is its compatibility and compactness: this baby can be run through virtually any cab so it’s very practical for gigging and/or touring musicians. 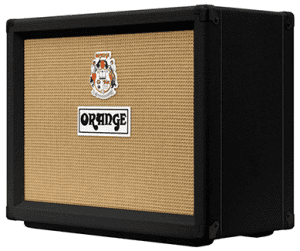 Orange releases their most vintage amp yet: The TremLord 30 Black. 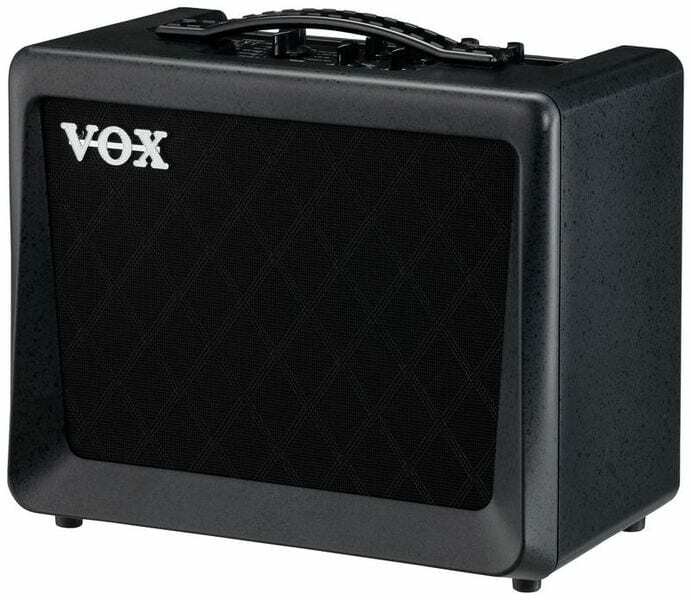 This 30W 1×12 all-valve guitar combo with a built-in valve tremolo and reverb is sure to please anyone who wants to sound great instantly. 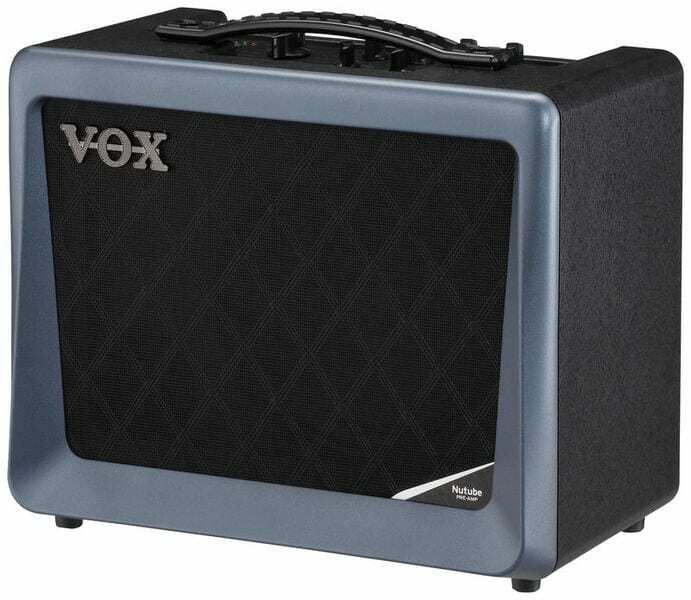 The tones that come out of this amp are simply irresistible! Oh, so Gibson’s going this time, huh? 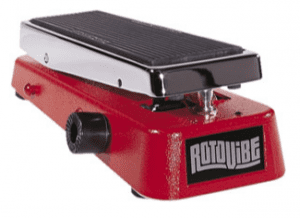 “This tiny monster of a solid-state power amp has the ability to give you, through one input, a Class A-B output so that you can have your pedal board reproduced cleanly with all that cranked tube goodness” – how does it do cranked tube goodness if its solid state?